I can't help but feel like I'm being watched in my sewing space at the moment. If you are interested in the "Fancy Foxes" Pattern visit HERE. 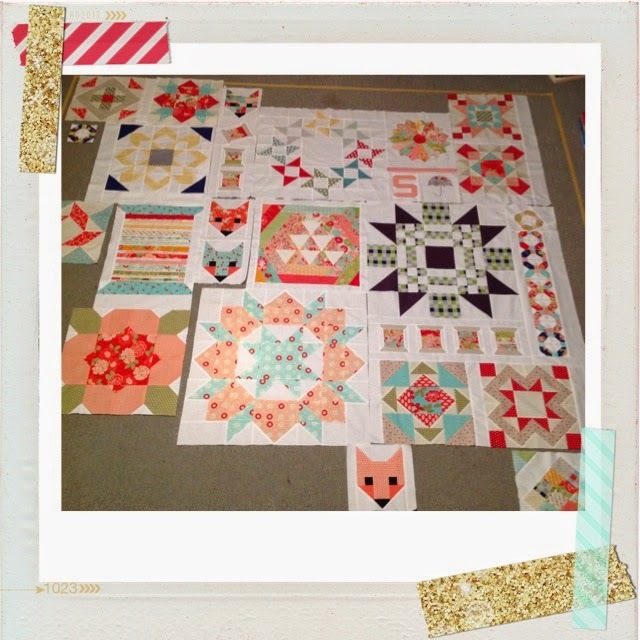 "Bonnie and Camille Sampler Quilt"
Very much a work in progress but I am getting there. Yesterday I took some time out and taught myself a new crochet flower. I was warned that they are addictive. 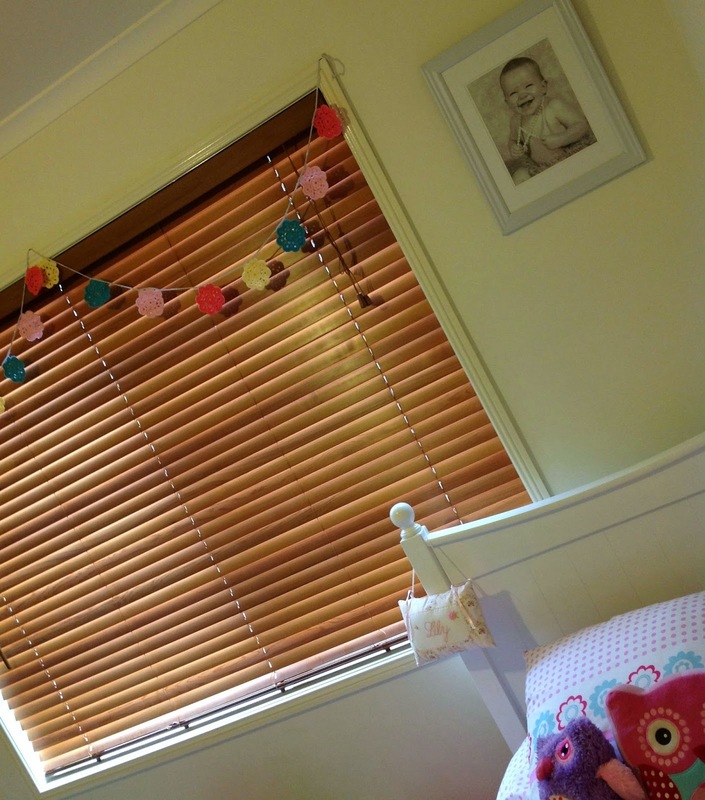 Today I have one finished Maybelle Garland for Miss Lily's room. 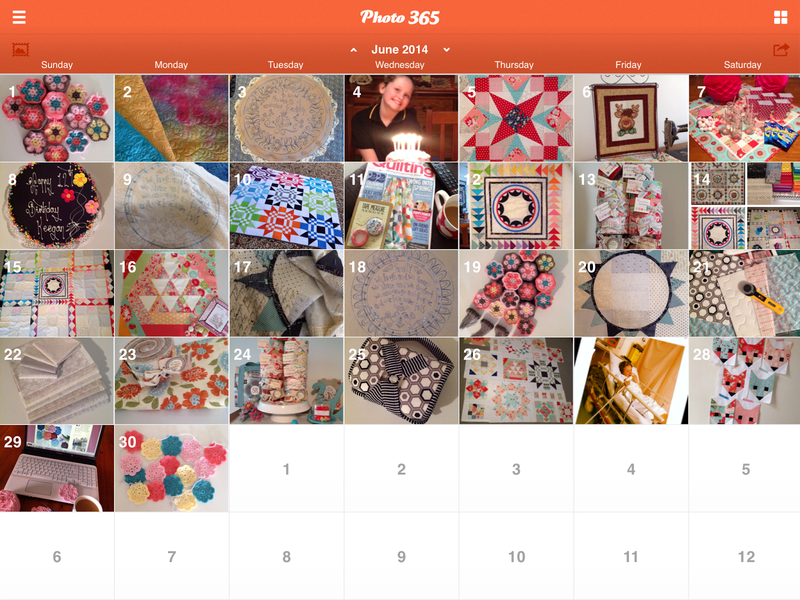 And being today is the end of the month, it's time to share my Craft Calendar for June. and that now makes 6 months of my Craft Diary. Thank you for all the Well Wishes on Dec's concussion. and today. Touching wood it's only progress in the right direction now. You are amazing with everything you get done. Hoping your boy continues to improve. Those foxes look fab-u-lous!!!!!! I think they make a great addition to your sampler quilt. That calendar looks amazing. As does just about everything you do! Everything you make is manic. 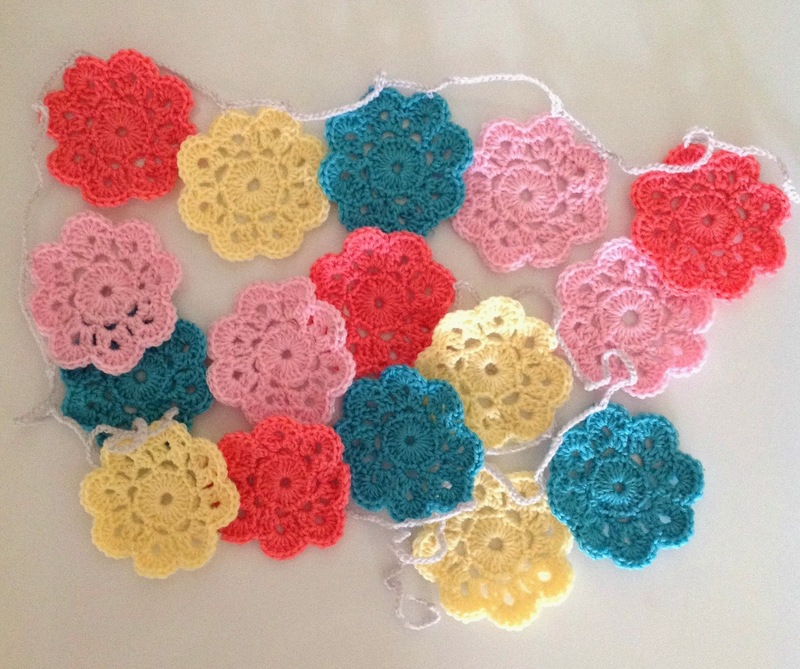 Love those crochet flowers. I'm keeping Dec in my thoughts. Just keep a watch on him. Why so many foxes. Crocheting is so quick but addictive. Good on you. 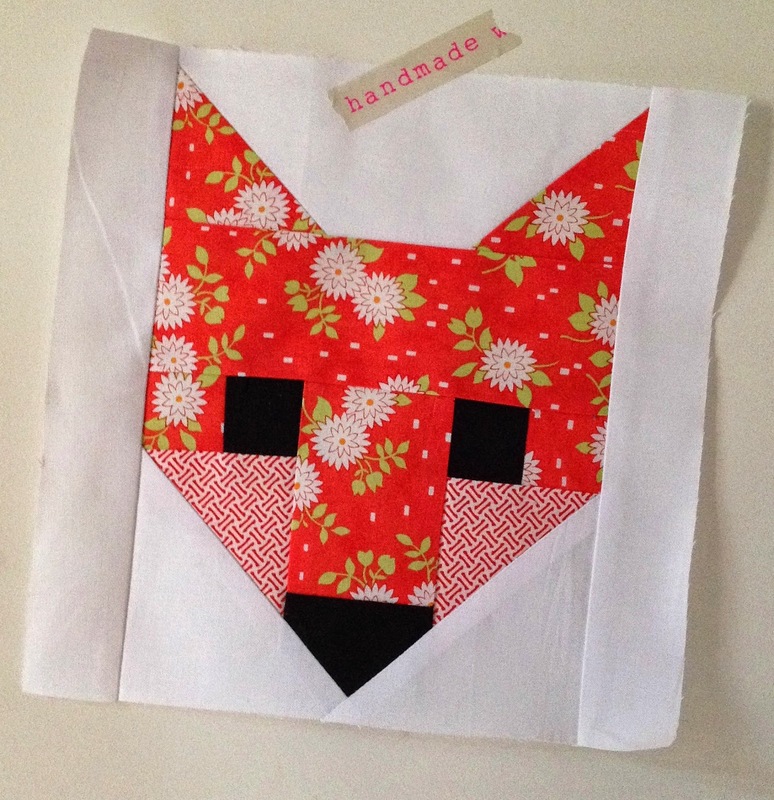 Love the foxes, they look great in the sampler...Nice crochet flowers..
Hope Dec is 100% soon. Yes hoping Declan is 100% soon! I think those foxes are so cute and perfect for the sampler. Gorgeous flowers too and such lovely coloured yarn. I love your foxes, Sharon. Those flowers are gorgeous too. 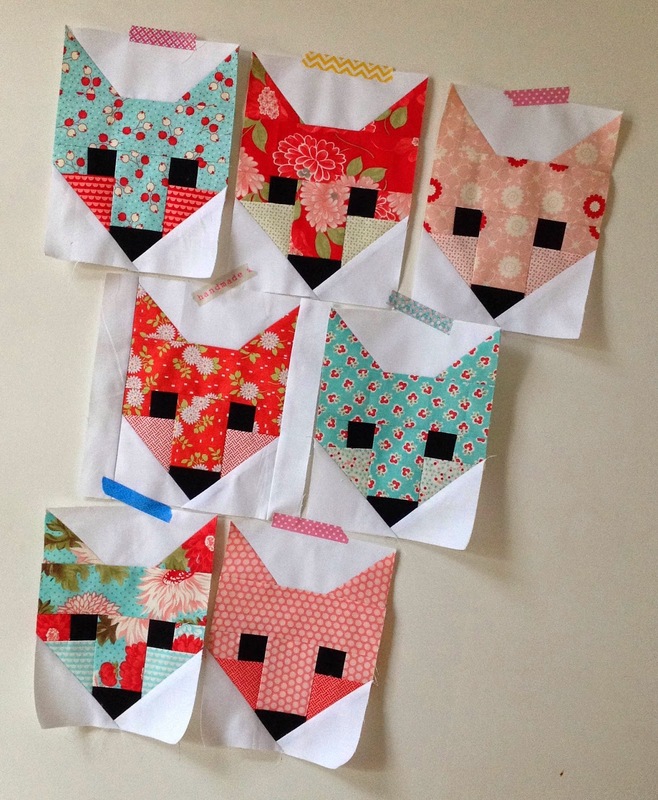 These fox blocks are wonderful Great addition to the sampler quilt which is looking wonderful. 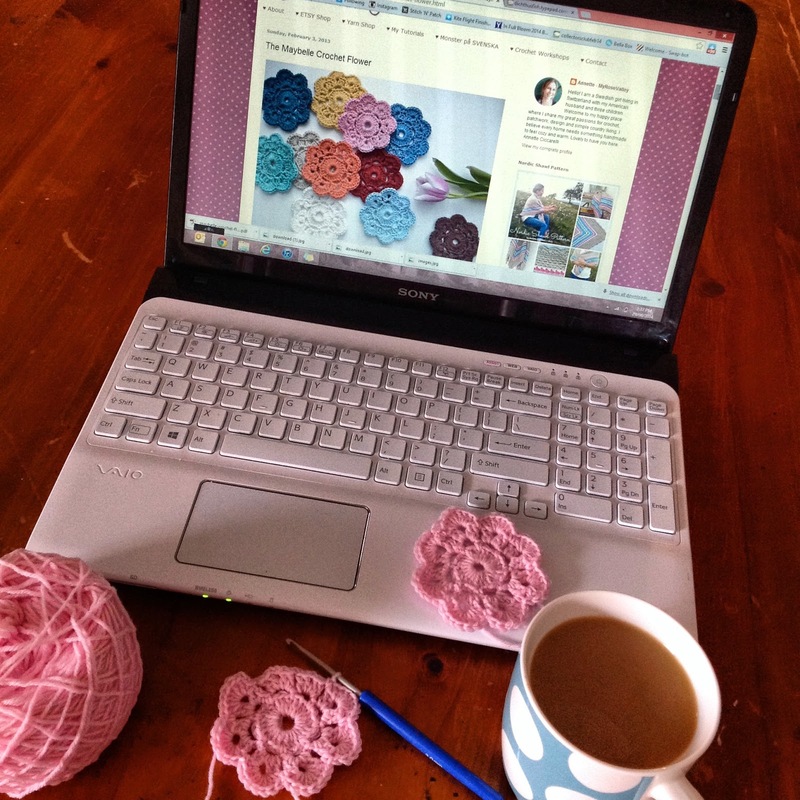 Love those crocheted flowers. I will stick to doll hats for a little longer before I attempt them. The flower garland is sweet. Continued best wishes for your son. Hope he is heading in the right direction now. Love the foxes - crochet flowers are beautiful & look lovely hung up. Hope Declan is recovering ok. Your foxes are adorable! 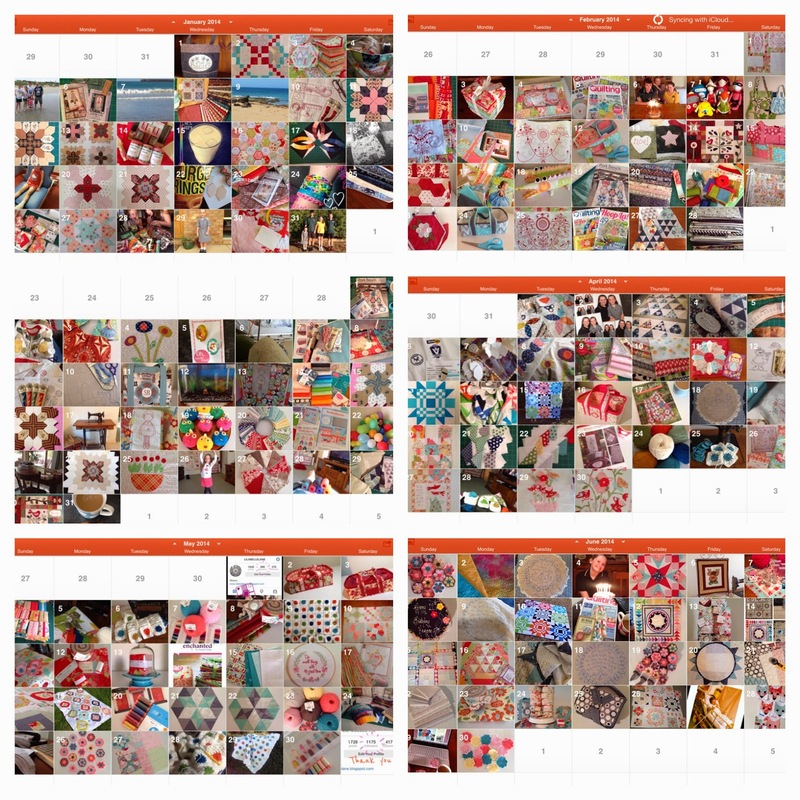 Your calendar is amazing - so many beautiful creations. I hope that Declan is now fully recovered.